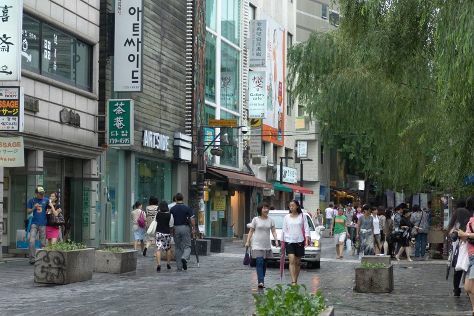 Kick off your visit on the 24th (Tue): stroll through Changdeokgung Palace and then wander the streets of Insadong. On your second day here, take a stroll through Myeongdong Shopping Street, then step into the grandiose world of Gyeongbokgung Palace, and then make a trip to ฺฺBukchon Hanok Village. To see photos, ratings, maps, and more tourist information, use the Seoul trip planner. Singapore, Singapore to Seoul is an approximately 10.5-hour combination of flight and train. Traveling from Singapore to Seoul, you'll lose 1 hour due to the time zone difference. Prepare for much colder weather when traveling from Singapore in October: high temperatures in Seoul hover around 23°C and lows are around 11°C. On the 26th (Thu), wrap the sightseeing up by early afternoon so you can travel back home.